JLC Associate Director Arieh Lebowitz at rally next to Make The Road New York representatives. 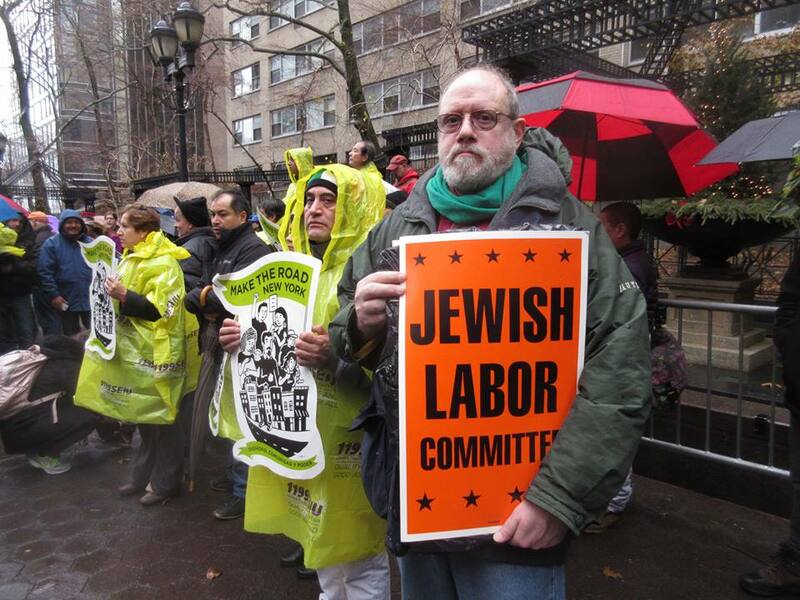 December 18, 2016: New York, NY - The Jewish Labor Committee joined with hundreds of other people at an #ImmigrantNY rally at Manhattan's Dag Hammarskjöld Plaza in support of immigrants and immigrants' rights. Organized by the New York Immigration Coalition, over 80 local and national community, ethnic, religious and political organizations participated; many continued on to Trump Tower on Fifth Avenue.